Remove the Volume buttons/SIM tray (located on the right-edge of the device). With the display facing up, utilize your fingernail to pull out the tray. 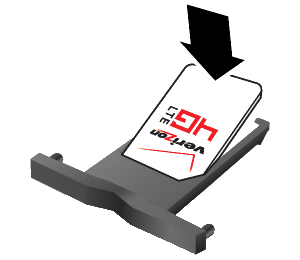 Clip the SIM card into the tray from the side with word UP. 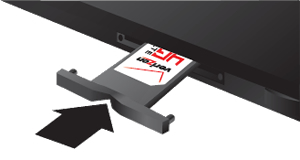 Insert the SIM tray with the word UP facing the display side. Press the center of the Volume buttons/SIM tray until it clicks into place.